The Basic Fire Academy is designed for individuals interested in pursuing a career as a certified firefighter. The curriculum includes a combination of class lectures, skills and field training. This program is approved by the Texas Higher Education Coordinating Board to be taught in a block format to provide for an appropriate and logical sequence of competency mastery. The instruction and competencies for the following courses are integrated into the sequence provided in the curriculum for the Basic Structural Firefighter. This training curriculum exceeds minimum hour requirements set forth by the Texas Commission on Fire Protection. Upon successful completion of the academy, students will be eligible to take a written exam and skills evaluation administered by the Texas Commission on Fire Protection. All course work must be complete and the certificate of completion issued before applying for the state examination. All coursework is International Fire Service Accreditation Congress (IFSAC) approved. 2. Must have completed high school or equivalent. 3. Must complete South Plains College admissions require­ment. 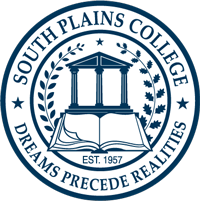 Admission to South Plains College does not guarantee admission to the academy. 4. Complete and submit a Fire Academy application packet that is available online at www.southplainscollege.edu/fireacademy. 5. Academy application deadline is the first Friday of June each year, for the academy that begins in the fall semester. 6. Must take the academy entry physical agility test, given on the second Saturday of June each year. 7. Meet the minimum standards as outlined in Section 403.1 of the current edition of the Texas Commission on Fire Protection Standards for Fire Protection Personnel. 8. All application information must be evaluated and approved by the Fire Academy Coordinator. To qualify for the Certificate of Proficiency, the student must complete a Capstone Experience in the final semester of the program. The coordinator’s office will notify all appli­cants as to their admittance to the academy. A student who fails to meet the standards outlined in the applicant’s Fire Academy application packet will be refused admission to the academy. Program advisor is Matt Hixson, coordinator and instructor in fire technology, (806) 716-4912. Students must successfully complete a program Comprehensive/Mock Examiniation of the Texas Commission on Fire Protection Structural Fire Fighter’s Certification.